We have an opportunity for an experienced farmer with the desire to manage and possibly have an ownership stake in our farm operation. 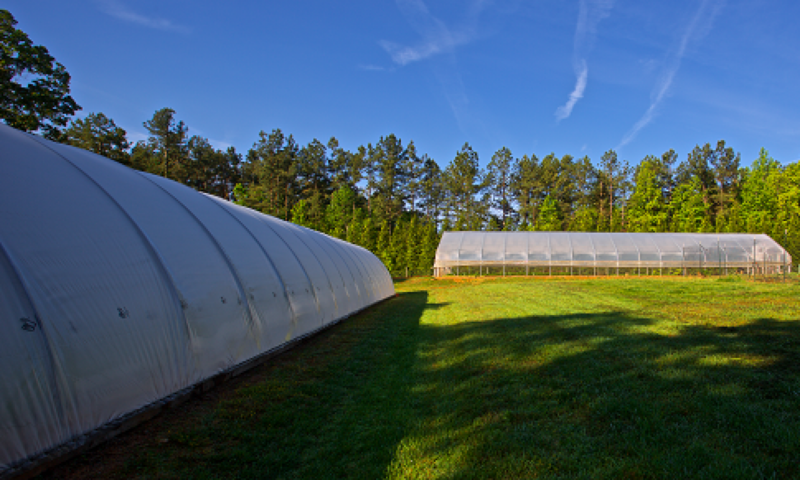 We are a successful, sustainable vegetable farm, in business for over 15 years. We intend to continue to expand our capacity to grow more vegetables, especially winter and high value crops in our 9 hoop houses. We are recruiting an exceptionable individual that can commit to the farm’s success. Our expectations are that the Farm Manager will provide staff leadership by always working hard, demonstrating efficiency, maintaining quality throughout all the farms activities. Above all, the Farm Manager must possess the skills and knowledge to grow high quality vegetables. We carefully keep records of the farm’s crops and the activities of the farmers and farm workers. We have years of data from which we have developed processes allowing us to accurately plan weekly production schedules and make important economic decisions. The ability to keep complete and accurate records and then apply this information to planning/scheduling activitiesis a requirement of the Farm Manager’s job. It is essential you understand that this position requires lots of physical effort, occasionally requiring working in uncomfortable (hot, cold, humid) conditions. Lots of bending and kneeling are a necessary part of the job. The hours can be long and Saturday work is required to attend Farmers Markets. This is not just a supervisory position, nor is it a 8- 5 Monday -Friday job, you will be expected to be responsible for the farm’s successful operation. We believe in paying above market wages for good work habits, good attitude, and good results – for all employees. Your starting pay will be determined by the level of experience and education you bring to the job. We believe farming is a profession and requires skills, education and the ability to run a successful business. Just growing vegetables is gardening. At least 2 full years of “complete” vegetable production experience is required for this position. Knowledge of soil fertility, pests and diseases of common vegetables is expected. Experience growing lettuces and other salad greens is essential. This position has a minimum starting salary of $700/week , we will pay more for those with exceptional credentials and demonstrated high productivity. The salary you recieve will alway be relative to the financial success of the farm. We may offer you paid vacation, paid holidays, a retirement plan, personal leave after 6 months full-time employment. based on your (and the farm’s) actual performance. EFFICIENT PRODUCTION OF VEGETABLES using sustainable approaches and modern techniques. Performance is measured by yield, quality, sustainability, environmental impact and economic results of the vegetables produced. Strong COMMUNICATION SKILLS required – communicate issues, status and data on an ongoing basis with others on the farm. Develop positive relationships with existing and potential farm customers. Work within schedules performing tasks in a safe efficient way. Emphasis on teamwork and a POSITIVE WORKING ENVIRONMENT. Be able develop and follow PLANS, SCHEDULES and PROCEDURES, ask QUESTIONS when things are not clearly understood. CHALLENGE processes that you believe are misguided, stay involved in continuous process improvement. COMMITTED TO SUCCESS of Tiny Farm, willing to build a long-term relationship. A minimum of 2 years of year-round farm experience. Exceptional work ethic and task performance. Work hard and quickly, get difficult tasks done early – does not procrastinate. Demonstrate a sense of urgency/dedication to getting the farm tasks complete. Positive, respectful attitude, outgoing personality. Ability to work with the public and project a positive image of Tiny Farm. Be a good co-worker by setting a good example and willingness to share the hard tasks. Focus on the positives. Willingness to keep complete and accurate farm logs and other required documentation. Flexibility to adapt personal schedule to meet farm needs. (While we can plan basic schedules, weather, illness of other employees, special needs may cause a necessary change in schedule (both hours and days). Valid Driver’s license, ability to lift 50 pounds, ability to do all farms tasks without physical impairment. No allergies or sensitivities to common farm materials, products and livestock. Please provide a paragraph (or more) on why you are interested in this position and why you will be successful. List your past work experience and references. Clearly identify times when you cannot be available to work. Include the date when you can start the job. We will not respond to emails that do not include this information!